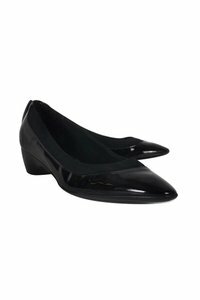 Classic Ferragamo shoes with a sleek patent leather upper and a contrasting fabric trim. 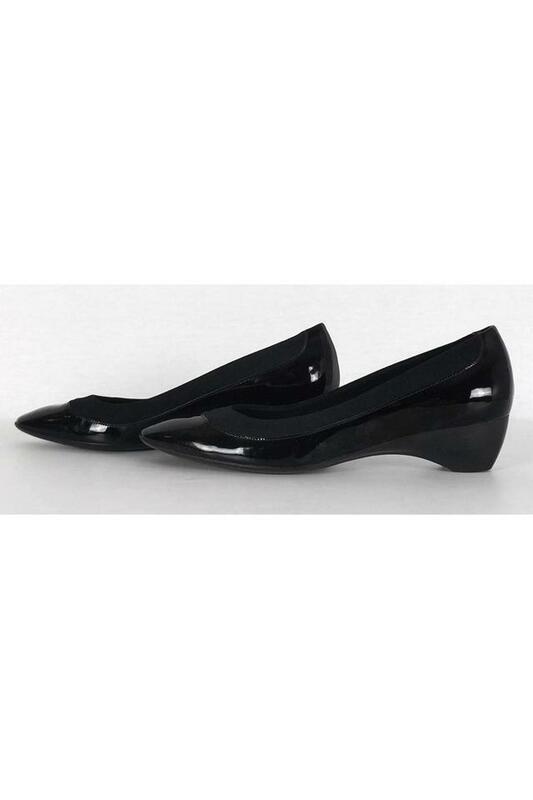 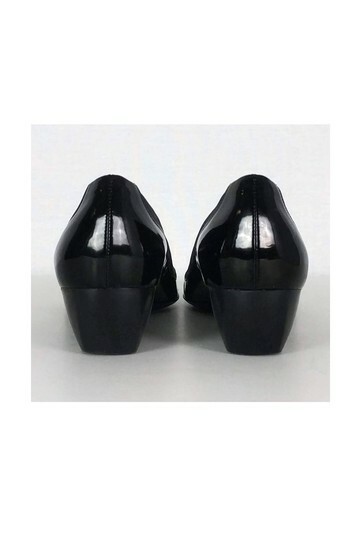 Their 3\" wedge heel makes them a comfortable pair that can be worn for the office or after-hours. 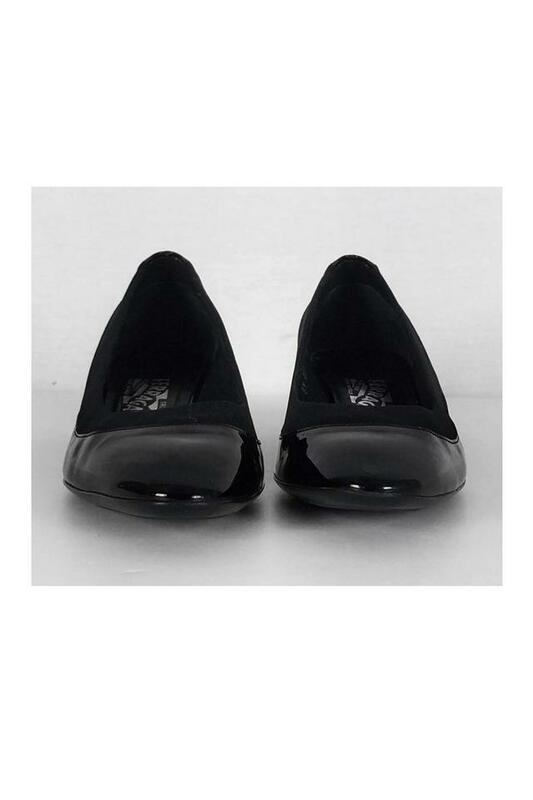 Don't miss out on these must-have shoes!